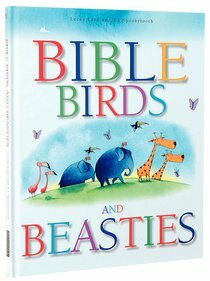 Bible Birds and Beasties is ideally suited to six- to eight-year olds. It makes an ideal gift from parents, grandparents and godparents, or as a Sunday school prize or gift. It would also make a great addition to a school library. About "Bible Birds and Beasties"
Leena Lane has written My First Bible (Concordia), and many other Bible story collections for children in the U.K. Leena lives with her family in England.